In a world where companies are as diverse as the clients they service, it is becoming clear that each Fleet segment has its unique list of needs and demands. That's why Chrysler Canada Fleet Operations tailors its programs to suit unique situations. 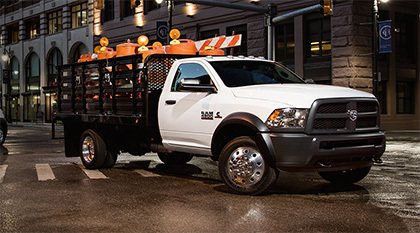 What are the benefits of becoming a Fleet Customer? First, you get a quality product with every Chrysler Canada vehicle. Second, you get added value with our Fleet Programs. And most importantly, you get the best service in the business from the experts at Longman's Woodbine Chrysler in Markham. General conditions apply to all program segments. Please select a program to view applicable conditions. Note: Program details are subject to change. Contact Longman's Woodbine Chrysler for details. At Chrysler Canada Fleet we understand that each type of business has its own set of transportation needs. That's why we tailor our programs to suit your unique requirements. This commitment to your success includes exclusive and specific fleet discounts that can make your new vehicles more affordable than you might imagine. Contact Longman's Woodbine Chrysler in Markham today for more information.